You wake up one day and you find out that your favorite image editor has redesigned its entire interface. And what if you don’t like the new design? Because this is iOS, there is no simple way to roll back an app update. If you’ve been burned by a similar experience before, it’s time to turn off automatic updates for good. 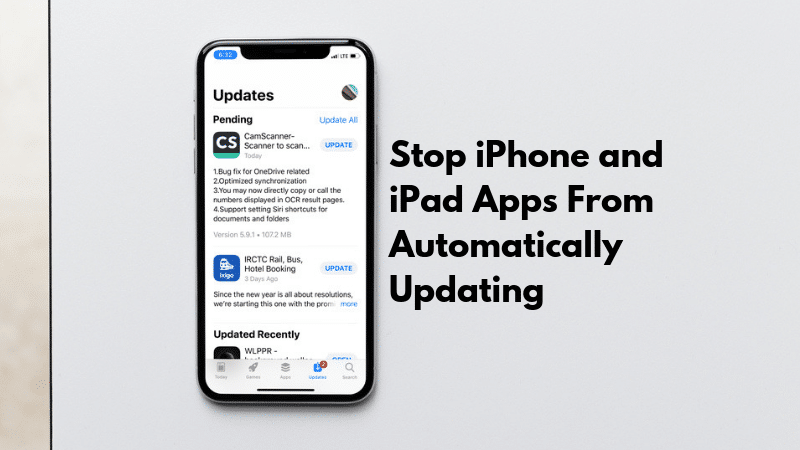 Go back to manually updating apps and get the control back in your life. Step 1: Open the Settings app on your iPhone or iPad. Step 2: Tap on iTunes & App Store. Step 3: From the Automatic Downloads section, find the Updates option and turn it off. Now, none of the apps on your iPhone or iPad will update on its own. Let’s take a look at home to updates apps the old style.